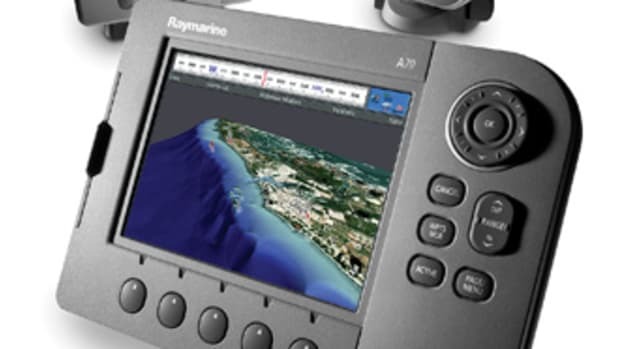 Raymarine looks to de-stress docking with their joystick-enabled DockSense. 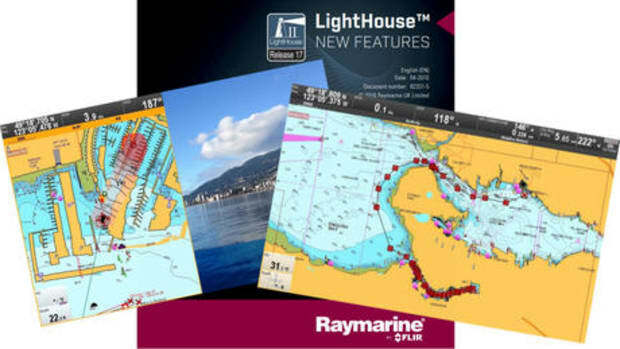 Raymarine’s DockSense assisted docking aims to do just that. 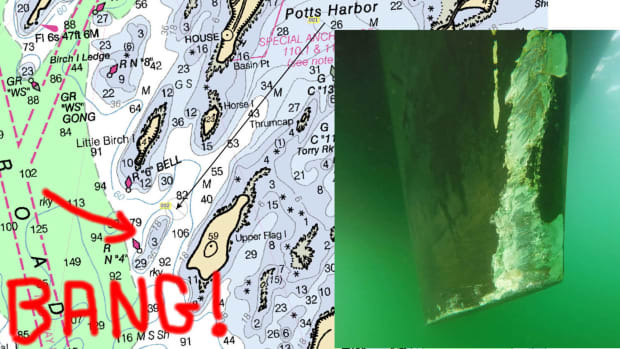 The system adds what Raymarine calls a “virtual bumper” (I would’ve named it a Virtual Fender), a simulated geo-fence around the boat that senses objects—pilings, boats, floating debris—within its range. It adds semi-autonomous commands that will take the reins should a collision be imminent. 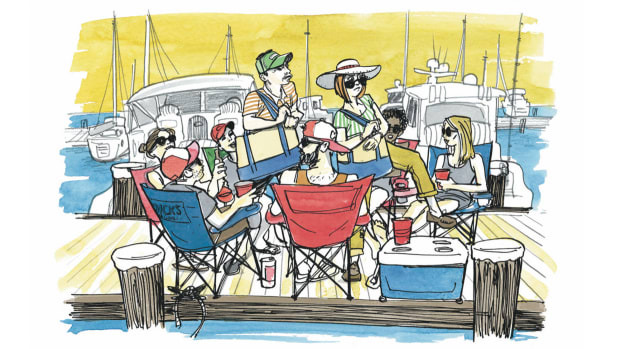 “It creates a safety zone and anything that enters [the area] is avoided via corrective steering and throttle commands,” says Raymarine Marketing Manager Jim Hands. 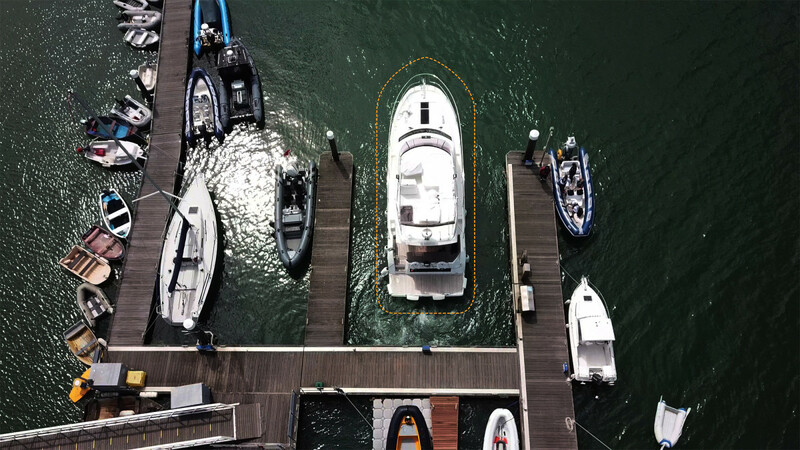 The myriad systems work in concert with existing joystick controls and fly-by-wire steering all tied to the DockSense processor, integrated with five FLIR Systems machine-vision optics placed around the vessel. 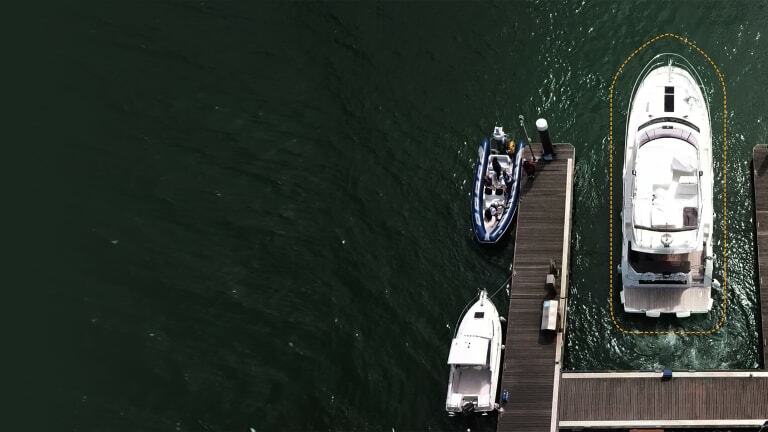 FLIR’s patented marine-grade cameras are also optimized for three-dimensional motion sensing under all types of lighting conditions. 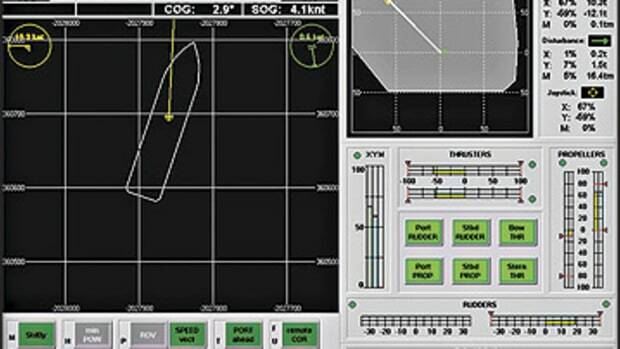 Exact position data is taken many times per second via an Attitude Heading Reference System (AHRS), a nine-axis, gyroscope-type sensor, then combined with GPS to help minimize the forces of wind and current. 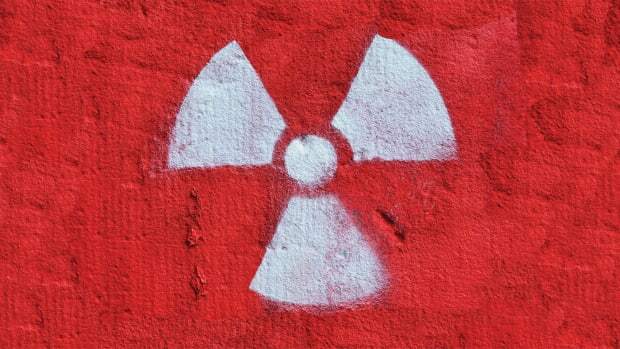 “We had a lot of work to calm sun glare and wave noise,” Hands recalls. 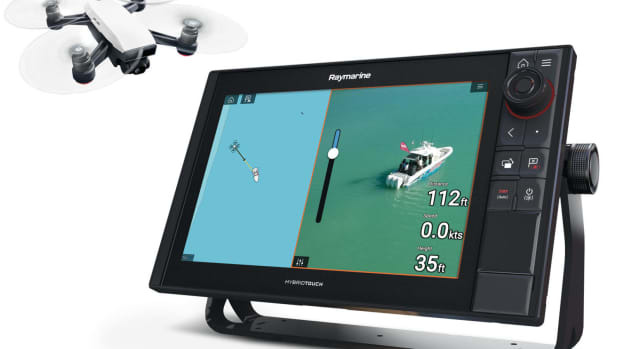 The DockSense app runs on Raymarine’s Axiom display, showing the helmsmen five camera angles plus an augmented reality overhead shot giving the boat’s exact position. A dotted line illustrates the virtual bumper, generally set at three feet. One other helpful feature in docking mode: When the helmsman lets go of the joystick, a type of dynamic positioning system kicks in, holding the vessel in position. Prestige was an ideal candidate to assist in developing the technology. 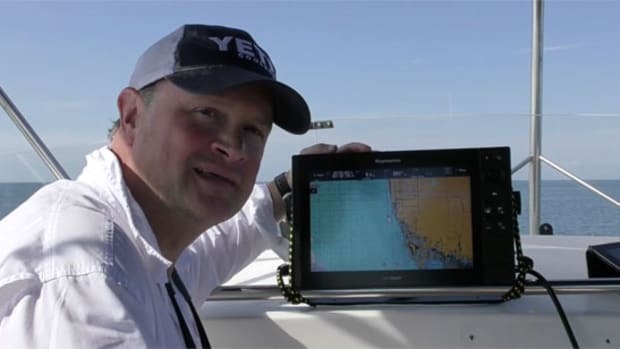 “Raymarine has been a dedicated partner and [our model line] is one-hundred percent joystick-equipped,” Stromberg tells me, “We’ll have a 460 in a big slip in Miami. Come on down to experience it.” I immediately accepted his offer, eager to see the technology in action and how the friendly ghost in the machine would take over once the Virtual Bumper is breached. Stay tuned here and to facebook.com/powerandmotoryacht to join us on our test during the Miami Yacht Show.